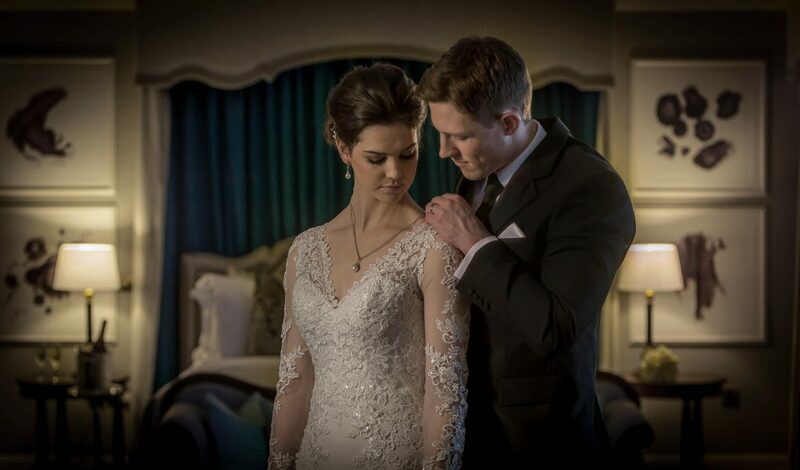 Experience timeless perfection at the Castletroy Park Hotel on your Wedding Day. 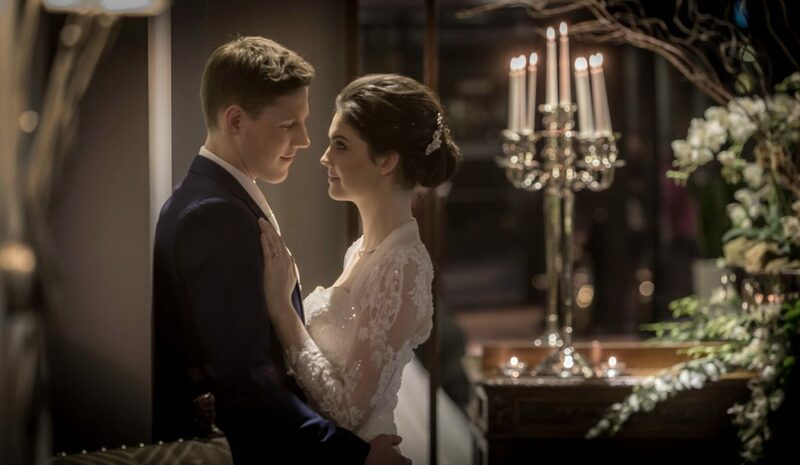 A wedding is a very important day in the lives of a couple and is the first day of a long and happy life together, which makes choosing the venue all the more important. 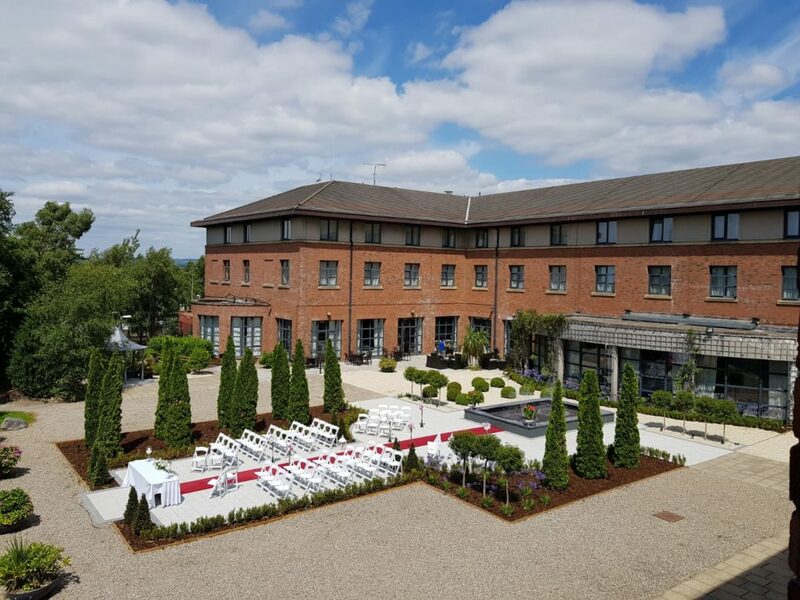 First impressions last a life time; hence the beautifully ornate new front gardens as well as the courtyard complete with water feature, perfect for summer weddings or even as the space to host your civil ceremony. Once inside you will find a bespoke design entailing luscious carpets, striking colours and intricate wood panelling, combing to create distinct elements of sophistication and modern chic, all superbly complemented by the essential warm welcome and excellent cuisine and service received by all our valued guests. 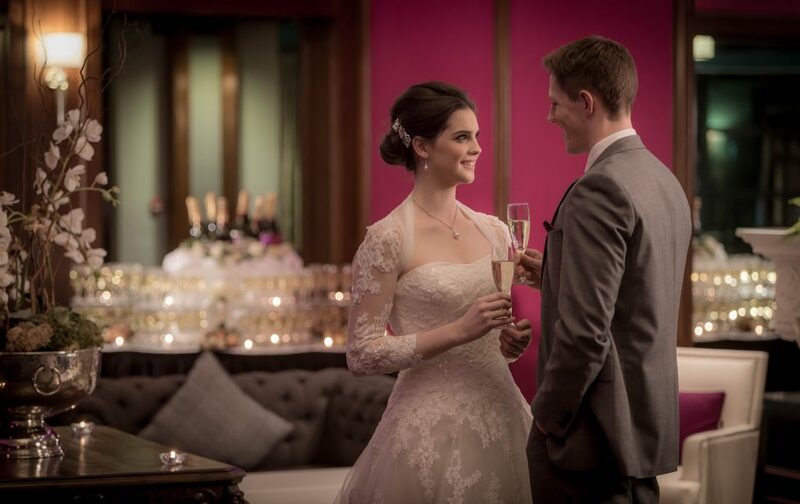 Our Ballroom can host weddings of up to 300 guests comfortably and with 107 bedrooms and our new Suites adjacent to the hotel, we can host your guests overnight too so they can relax and enjoy the celebrations all night. 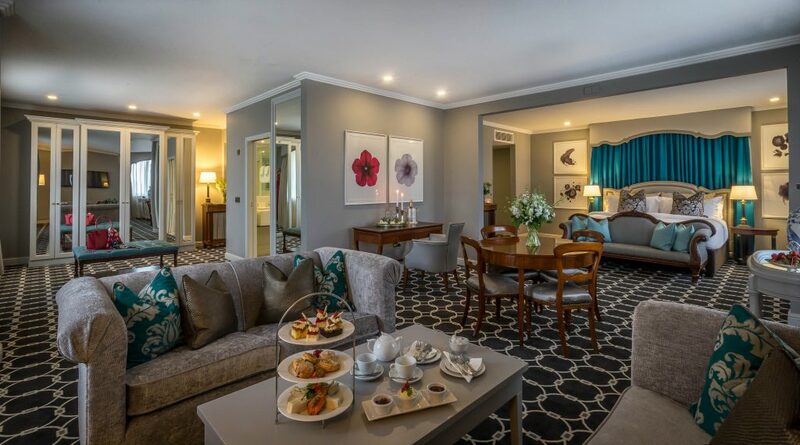 Proud winners of Hotel Wedding Venue of the Year Limerick & Wedding Co-ordinator of the Year with Brides of Limerick as well as Best Limerick Wedding Venue at the WeddingDates.ie Awards in 2018, it’s easy to see why. The dedicated wedding team work closely with the bride and groom through every step of the way to ensure their day is exactly as they imagined and more. The team at Castletroy Park Hotel would be delighted to meet with you, show you around the venue and walk you through the wedding planning process. To book an appointment to meet the team and take a look around, call 061 335566 or email [email protected]. We had our wedding here in The castletroy park hotel on the 20/10/17 and it was the most fantastic day ever, the hotel was absolutely amazing all the staff were amazing friendly and very helpful.from the 1st day we stepped inside and booked our wedding until the day we got married they the staff helped us with everything we have not got one complaint they couldn't of done enough for us.The food was top class every dish was beautiful and the wine and cocktails were amazing everybody commented how lovely they were. 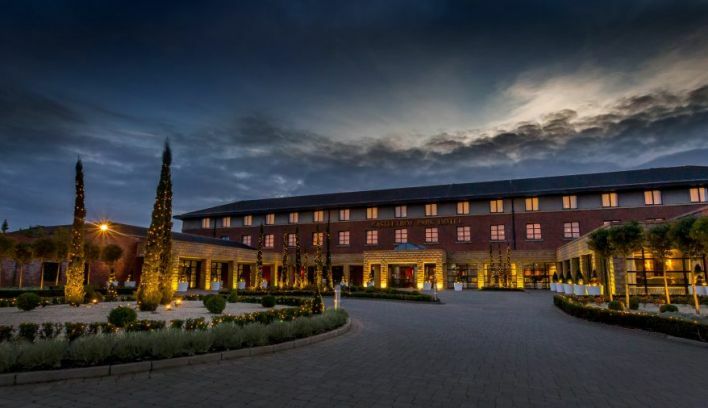 If your planning on getting married I highly recommend the castletroy park hotel. 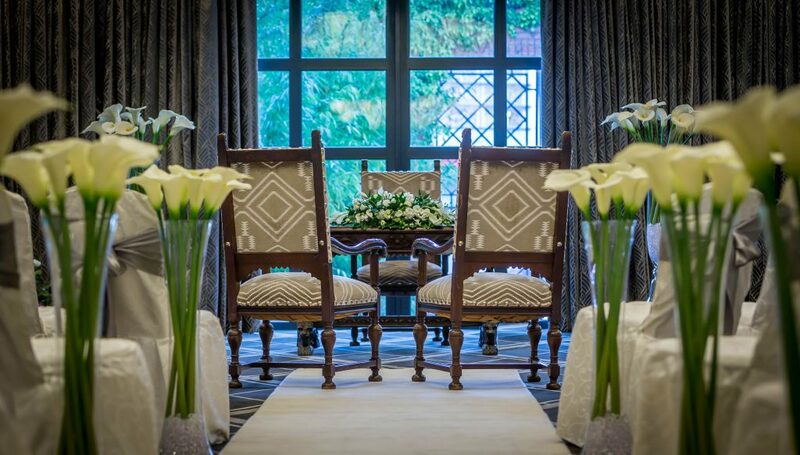 We had a civil ceremony there the room was done up so cosy it was like been at home it was so cosy and warm.The honeymoon sweet was so big and decorated lovely as are all the rooms. Have to say best day ever and that's down to the hotel absolutely amazing. The Castletroy Park Hotel was the most amazing venue for our wedding. The service we received from the moment we made contact was exceptional. We were put completely at ease that everything would be looked after and we had nothing to worry about. The food was outstanding and all the staff were professional, friendly and courteous at all times, nothing was too much trouble including doing 170 thank you scrolls instead of speeches with 4 days to go!!! A special thank you and mention to Nicola and Aidan who are fantastic at their job and Aidan who ran the day made sure everything went smoothly but did it in a manner that was relaxed and fun which was what we wanted. We could not reccomend the Castletroy Park enough, everything exceeded our expectations and ensured we had the best day. 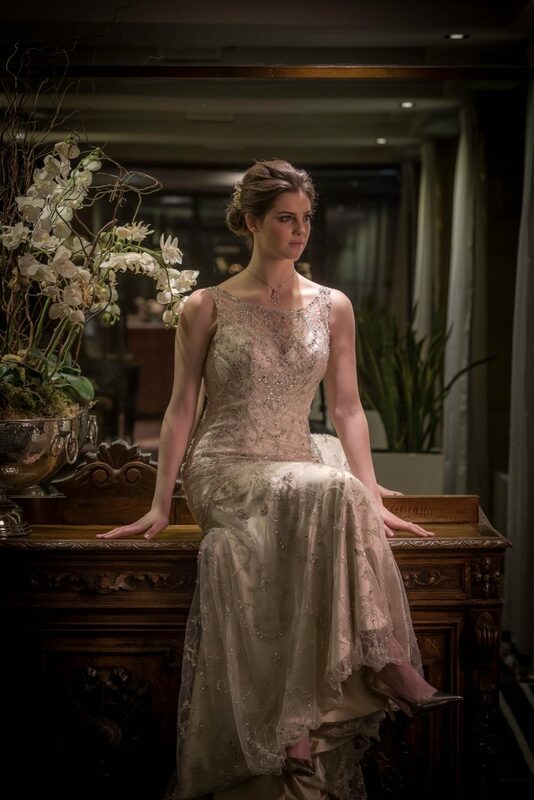 I had the most amazing wedding at Castletroy Park hotel. I couldn't possible recommend them highly enough. They made every request happen so efficiently and what seemed effortlessly. I cannot recommend the hotel enough. The grounds and hotel were beautiful elegant. Every single staff member in the hotel were extremely friendly and super helpful to each and every member of my party. Such a pleasure working with Nicola Mark and Aiden, of course special shout out to Kevin who greeted all the guests at the front door he personal approach to his job is outstanding. I cannot rate the food high enough everything was absolutely perfect. Thanks to each and everyone who made our day a once in a lifetime memory and we will never forget your kindness. 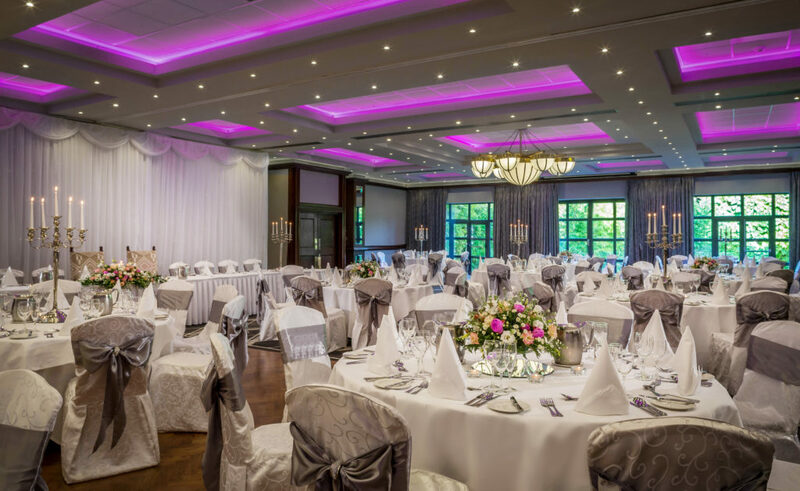 If anyone is considering having their wedding at the Castletroy Park Hotel then I would recommend to go ahead and book it without hesitation. We had our wedding here less than a week ago and I have to say from the moment we enquired about wedding packages to the moment we left the hotel the day after the wedding was nothing but an absolute pleasure. Talk about bending over backwards to make everything perfect, the staff are out of this world and make you feel like your the only one they are dealing with even though there's probably a wedding every week. 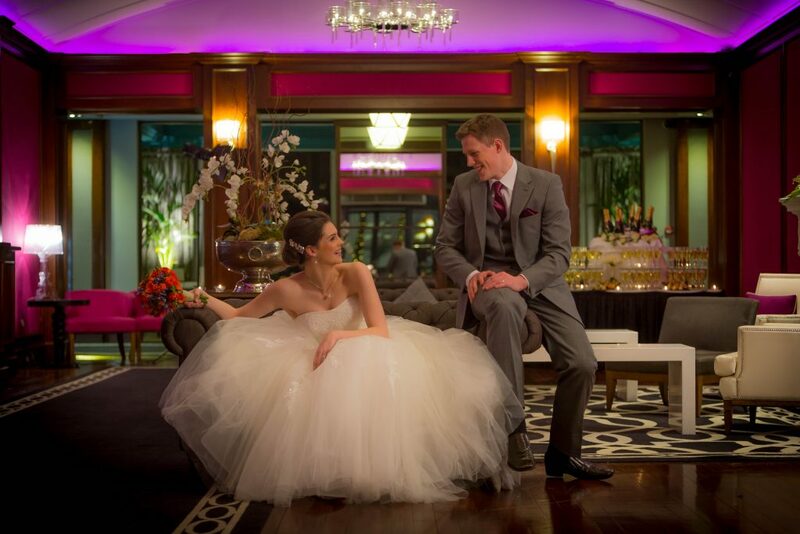 We had over 200 guests who were all raving about the look of the hotel, the service, the food. 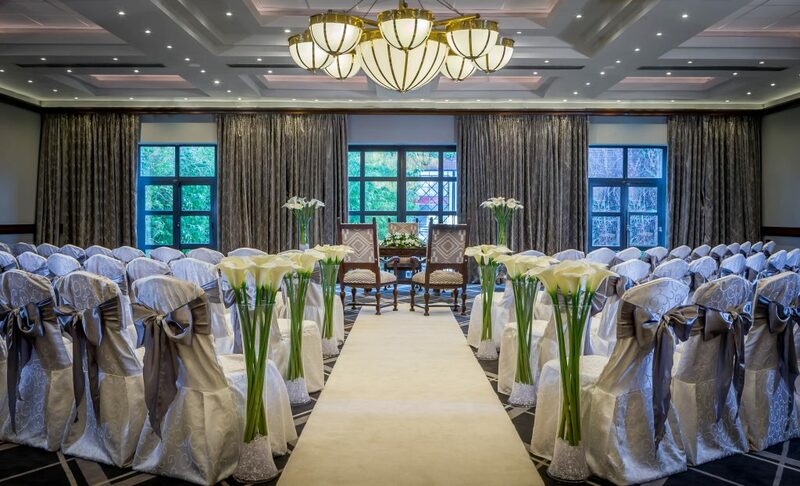 We also had our wedding ceremony at the hotel, the room was done up beautifully, was so romantic, quiet and private. 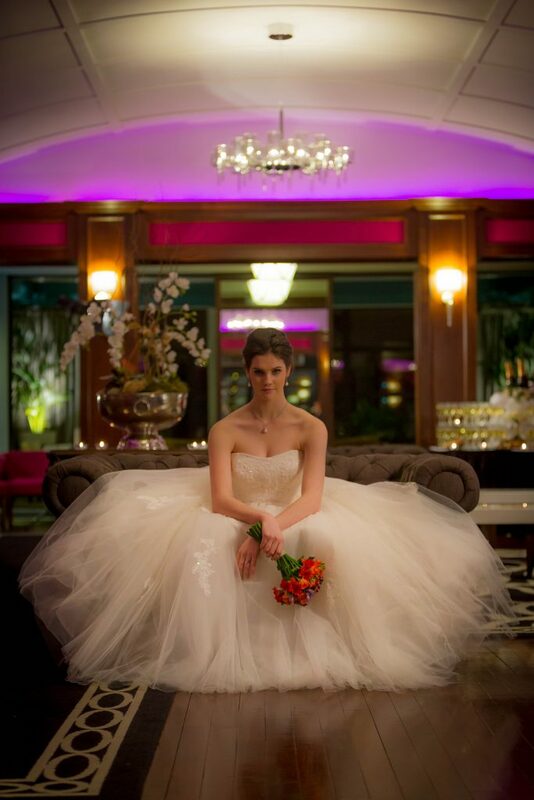 We are absolutely thrilled to have made the right decision in using this amazing hotel for our special day.